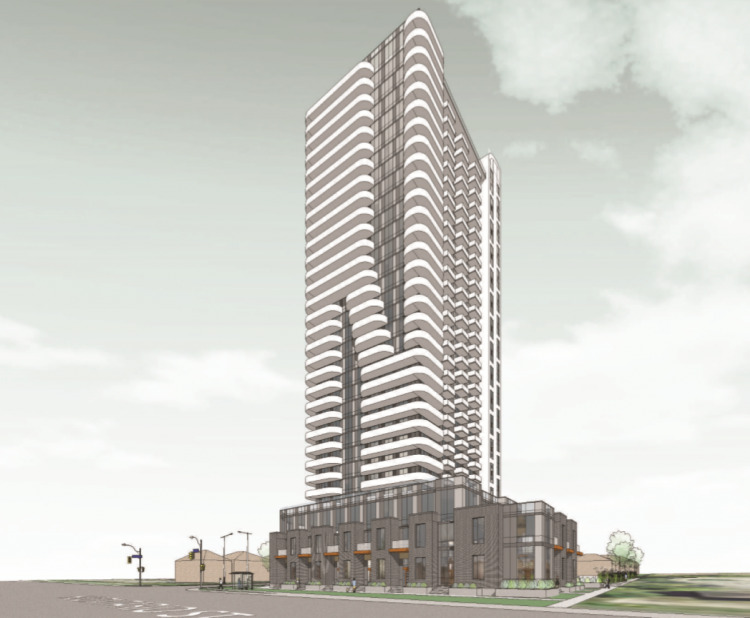 Mississauga Square is a mixed use condominium development located at the Southeast corner of Hurontario Street & Nahani Way proposed by Plaza. This development is offering 404 1b-2+d condo units located in a 35 storeys tower, and 50 2-3b+d condo townhomes. Erindale Go Station as well as Cooksville GO Station are nearby for easy commutes into the city. With Hwy 403, 401, and 407 nearby, commuting is simple. Live near Mississauga Square, SquareOne Shopping Centre, and Heartland Town Centre. There are many exciting things to do and places to explore. Mississauga's downtown has such a beautiful culture with the Living Arts Centre, Opera Mississauga, Art Gallery of Mississauga, and Mississauga Celebration Square all walking distance from this pre-construction Mississauga condo. There is always something exciting taking place at Celebration Square such as Movie Night, Special Holiday Events, and Farmers Markets.